Operating globally Delta Rock Group has been providing electrical, control and automation solutions for our clients for decades. We have a long track record in designing, installing and commissioning solutions that provide tangible benefits, adding significant value to our clients operations whilst reducing their operational risk. We specialise in providing turnkey systems encompassing the whole spectrum of industrial electrical control and automation services. 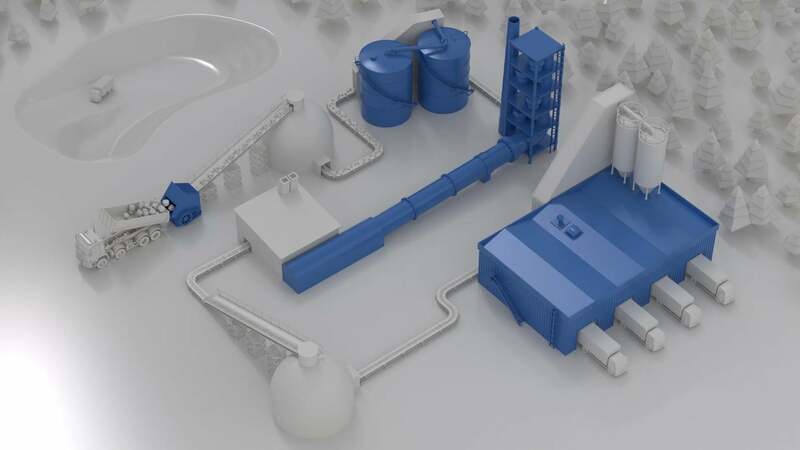 From consultancy during the planning stages, we have the capability to provide control panel design and manufacture, automation system design and development, electrical installation and commissioning and a unique system support service. With our expertise we can manage the whole lifecycle of a project and deliver results, increasing efficiencies and uptime. The specialist design, installation and commissioning of electrical systems within production and process environments has been at the heart of our competency for many years. With varied sector experience and trained hazardous area technicians, many of whom have been with the business more than ten years, our industry-leading team of engineers can manage the integration or installation of complex electrical systems to NICEIC standards. Our range of mechanical engineering services has been procured for multiple industries. The food, beverage, dairy, glass, aerospace, recycling and building products industries have been core to Delta Rock for the last 25 years. Our mechanical services are offered either as a single discipline or as part of a fully integrated turnkey solution on major mechanical and electrical projects. Delta Rock covers all aspects of a building plant from automated bagging lines to robotics and motion control. Integrated primary processes in quarrying and aggregate processing. High and low voltage equipment within harsh and extreme environments. Critical transportation of raw material, handling and storage systems. Critical and finite control of main processes. Optimising systems and sub systems to release untapped efficiencies. Collating production data from all automation systems to final distribution. Integration of BIG DATA into business SAP and MES systems. Intelligent automation to integrate multiple technologies for end-of-line bagging and palletisation operations. Greater efficiency, lower maintenance, reduced capex and greater control. Control panel design and manufacture to EN 61439 with Variable Speed Drive (VSD) systems. Software development to ensure a truly integrated system. Design, development and programming of local operator interfaces. Immediate local interrogation of the control system and machine operation. Safety systems with emergency stop circuits. Machinery safety circuits compliant with the latest legislations. Remote IO control panels for decentralisation of the control system to remote parts of the plant. Multiple configurations depending on application and environment. Design and integration of robotics and motion control systems. Full automation of manually intensive repeatable processes. Delta Rock has a long history in the process optimisation of food production facilities using our portfolio of specialist services. Tanker reception systems incorporating hygienic stainless steel pipework. Liquid handling with electrical infrastructures, automation and control systems. Fully tested assembly, reduced cost and reduced installation time is also ensured as all manufacturing, wiring and pneumatic piping is completed offsite. Complete familiarity with equipment by partnering with the largest food processing OEMs. Increasing efficiency through integrated project delivery. Project scope to place one order and receive multiple services. Adding value by reducing communication failure, administrative costs, and eliminating scope confusion. Commissioning complex process systems with full optimisation. Assisting with electrical, instrumentation, mechanical and automation control. Delta Rock has a vast amount of experience in the beverage industry, with the capability to install complex systems comprising of electrical infrastructure, mechanical process pipework, control panels and software. Hygienic stainless-steel pipework incorporated in tanker reception systems. Electrical infrastructures, automation and control systems for liquid handling. Innovative software development and Programmable Logic Controller (PLC) are installed to ensure a truly integrated system. High performance systems designed for automatic product blending. Customisable to handle a variety of products within the beverage industry. Skid based systems designed and manufactured in-house. In partnership with our clients, we create software solutions for automated filling and capping capabilities. Reduced downtime by integrating fast and safe installation into existing filling production lines. Hygienic process pipework mechanical design and installation. Sensor actuated precise inline labelling installation. Product tracking and registration before label application using servo controlled systems. Full automation of manually intensive repeated processes ensure a truly integrated solution within your existing systems. Control and software installation of robotic palletisation systems reduces manual handling and increases productivity. Process simulation to ensure a fully tested system. Delta Rock has years of experience in the aerospace industry, being located next to one of the UK’s largest aerospace production facilities. We have the capability to install complex production lines and systems comprising of electrical and mechanical infrastructure, control panels and software. Commissioning of servo and variable speed drive solutions. Power, control and communications cabling. Design of safety critical systems. Safety gates, light curtains and systems. Delta Rock has the skills and expertise to support a wide range of mechanical, electrical, instrumentation and control services as part of an ongoing maintenance programme. Projcect Overview: Delivered a state of the art production facility in partnership with a leading European specialist in the automated production of aerospace components. Fully inclusive of all electrical containment, power and control cabling and commissioning. Projcect Overview: Designed and installed the entire electrical containment and power and control cabling infrastructure for a major plant upgrade at a critical site on behalf of a world leading dairy process client. For all of our latest news please click the button below.